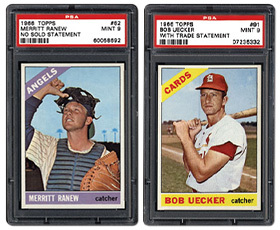 It’s hard to believe, but the 1966 Topps baseball card set turned 50 this year. 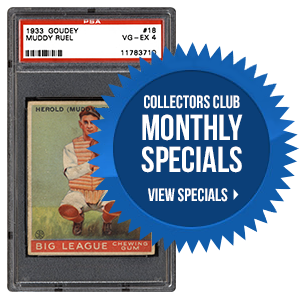 From the first card in the set (#1 Willie Mays) to the final card in the set (#598 Gaylord Perry), this colorful production remains popular with collectors. 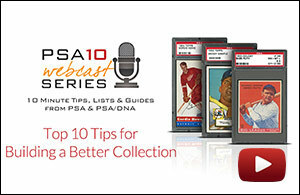 In the following article, we break down the set, from Mickey to Palmer to Koufax. Beyond being a Hall of Fame manager and one of the greatest ambassadors the game has ever seen, Tommy Lasorda has always been one of the best interviews in the sport. The following interview is no exception. Lasorda talks with PSA about his incredible life and the strangest thing he was ever asked to sign. There are several players in baseball that have made a big impact in recent years, from Bryce Harper to Buster Posey. While there are many talented young players in the game, perhaps no other player has been quite as good as Mike Trout. 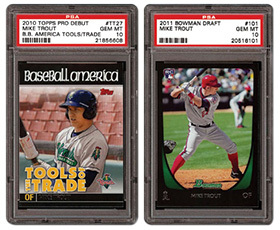 In the next article, we look at some of Trout’s best cards. 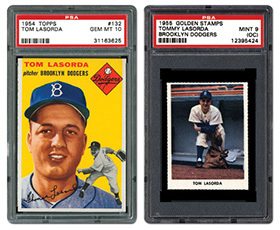 Which of the following 1966 Topps baseball cards do you like best? We had a full house for the annual PSA Set Registry Luncheon at the National! There were several new faces as well as many familiar ones and a good time was had by all. We want to thank everyone who came to the luncheon. We could not do it without you! To view images from the luncheon, please click here.